Chicago was a hot one yesterday. I barely squeaked out 4 miles before calling it quits from the heat. I had to stop at my brother’s work to grab a drink of water…and at the high school track. The marquee read 97 degrees, but I tend to think that was a bit of an exaggeration. None the less, it was hot and a perfect evening for grilling. Since my mom has been talking about her “pork satay” non-stop for the past few weeks, I decided to request it during my visit. In return for fame on the blog. So, here we are. What I know about my mother’s cooking is that it errs on the side of easy and that when she finds something she loves, she likes to make it over and over again. No problem by me. Remember, I am working on finding quick and easy recipes! Mom served this satay with grilled vegetables and rice — a very simple meal that was perfect to beat the heat. 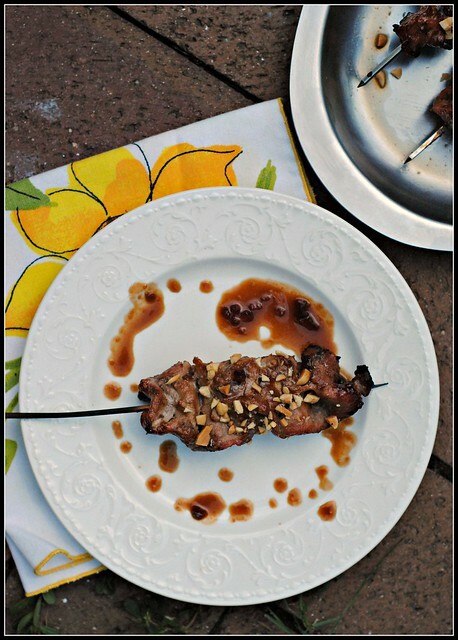 She even showed me that by keeping the pork slightly frozen, you’re able to cut the pork into super thin slices that are ideal for satay and grilling. So this recipe comes from my mother with love. She was willing to pose with her platter of satay, but I was too busy enjoying dinner to pick up my camera. I appreciated her offer…even if she gave me a hard time about taking “so many pictures dinner is getting cold.” And don’t even get her started about the fact that I take my photos outside. I explained that there are trade-offs to being on the blog ;). She understood as she feels this recipe should be shared and enjoyed by all! All the kudos to you, Mama Prevention! In a small saucepan, bring the first eight ingredients to a boil. Reduce heat; simmer, uncovered, for 10-12 minutes or until thickened. Set aside 1/2 cup mixture for sauce. Cut pork in half widthwise; cut each half into thin strips (note: cutting the tenderloin into thin strips is easiest when meat is partially frozen). 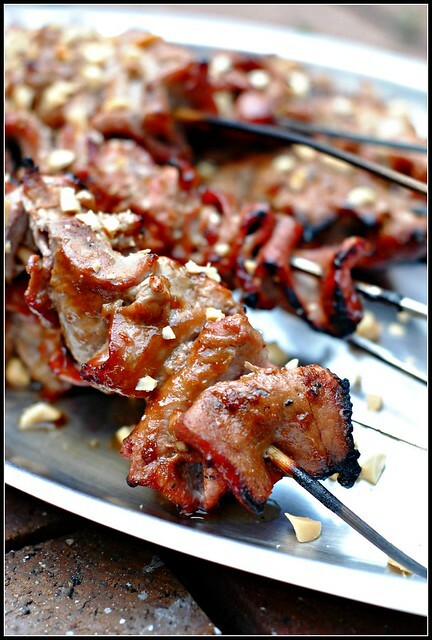 Thread pork strips onto eight metal or soaked wooden skewers. Grill, uncovered, over medium-hot heat for 2-3 minutes on each side or until no longer pink, basting occasionally with remaining mixture. Serve with reserved sauce. Result: Fantastic and very simple…perfect for a starter or a heavy appetizer meal. The tenderloin is lean and cooks very quickly so these come together in a jiff. 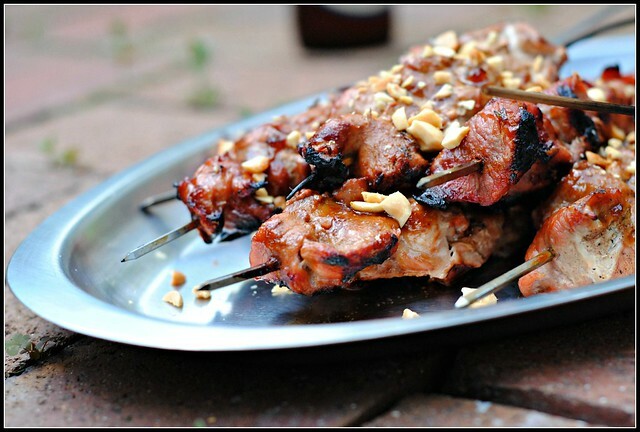 The satay sauce is good enough to drink and basting the skewers in the sauce ensures that deep flavor in the meat. Enjoy! Dad has a Groupon today to drive a NASCAR 5 laps around the track at upwards of 160 mph. It’s a Family Fun Day and then back to Michigan. See you there! Satay is one of my favorites!! Looks and sounds amazing…. and I’m down with simple all the time too! I think your Mama knows what she’s talking about……..these look DELICIOUS! 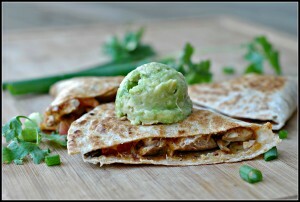 Easy and tasty…….I’d be making them over and over too (and maybe I actually will!)! Hope your Dad has fun today……sounds exciting! How come Chicago only decides to be hot when we’re not there? Hi! I loooooove your blog…one problem! I live in China where, unfortunately, BBQ’s are scarce. 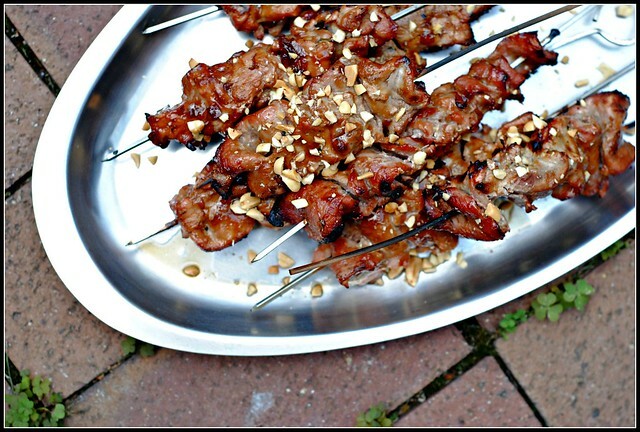 What is an alternative cooking method for these satays or any other BBQ’d items? Pan fry or oven broiler? Help! Hi Jaimee! I would try the broiler for maybe 3-4 minutes per side? I hope that helps!! 🙂 P.S. China – how cool!! This looks sooooo good! I’ll have to sub int for the brown sugar, maybe sugar-free maple syrup, but I think I’ll do this and SOON!!! Do you marinate these in the sauce any or just brush it on as you grill them? Looks awesome!! I just remade them this week and I brushed some on before grilling, some during, and reserved some as a dipping sauce. Yumm!!! Thanks! Do you think the marinade will thicken into a paste if I was to make it in advance and soak the meat or skewers in it for several hours? Katrina, glad you loved it! I agree…the sauce is drinkable! By far the best satay I’ve had in a long time! Even my five year old devoured his two skewers! That says a lot! I can’t wait to try it with chicken next. I also recommend saving sauce for dipping. 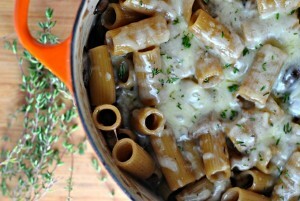 Thanks to you and your mom for sharing this recipe! Bethany, thank you! So glad you loved it! I need to make it again soon!